Ready to cruise the skate park with your style using your skateboard? Or need to be the street league champ of your street? 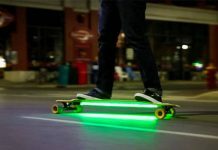 You might have received a lot more information regarding skateboard in our previous article. Today we are going to discuss applying the grid to your skateboard in detail below. The further steps are presented by the experts and staffs so that you can follow it without any confusion or fear. Before going to the process, it’s essential that you know the things you needed for applying the grip to a skateboard deck. Proceed below to find the process of applying the grip to your skateboard deck in depth. The first step is to peel off the grip’s backing off and make sure you keep the backing with you as it is needed for the later use. 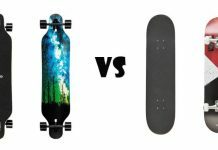 Take the sticky side down of a grip tape in your both hands and stick it on your skateboard deck, now you can find the deck at the center, and this will be under the grip. Also, the board will be hanging off the end. 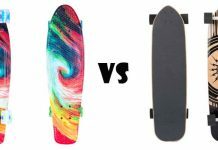 From the center of deck you need to press the grip gently to the skateboard deck with the use of heel of your hand and now you can checkout the one end of your board working correctly. Make the same process happen in the other direction too, make sure you are making it slow and therefore you can avoid those unnecessary making of air pockets. Bubbles will not work with the grip tape like the baths. It’s the time to make use of the backing again now, place it over the fresh grip so that you can protect your hand; you need to get rid of the bubbles if there are many by pressing them when running your fist down to the board length. After completion, you can discard the backing again. The board outline gets appeared on the grip tape that is untrimmed if you are running your file over the deck perimeter slowly, grips can be cut more comfortable if you are ready with the couple passes and make sure you keep the file in the same angle during the overall process. Now, with the help of the razor blade, you are going to cut continuously from the starting board tip along the deck perimeter. As same as the file, it’s essential you keep the blade at the same angle during the overall time. You need to more careful while cutting with a razor blade and it’s advised to stand feet away while cutting as there are chances for cutting yourself. Now your excess grip will get removed, now make use of the scrap and then rub over the gripped board edge to soften the edges that are cut with the razor blades. With the help of the screwdriver, place holes from the bottom through the grip to set the truck mounting hardware. Once after completion, you need to flip the skateboard and eliminate the excess grip through the fresh holes. Steps are almost completed, you can skate after throwing your trucks. Follow the above steps carefully so that you can easily apply the grip to any of your skateboard deck. Any ideas, thoughts, suggestion, and queries on the topic are welcome. 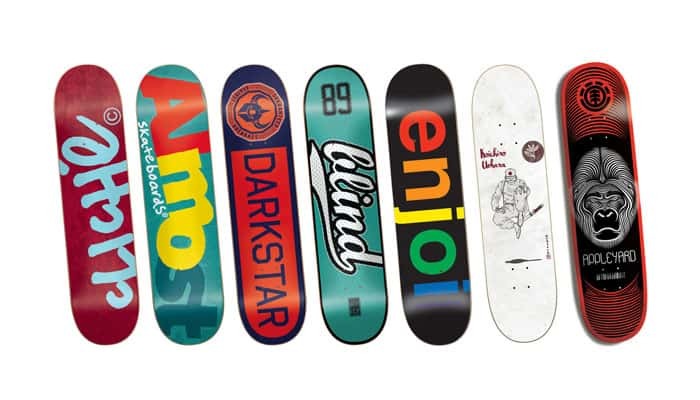 Have you tried applying Grip to your skateboard deck before? If so, share us your experience through the comment section below.